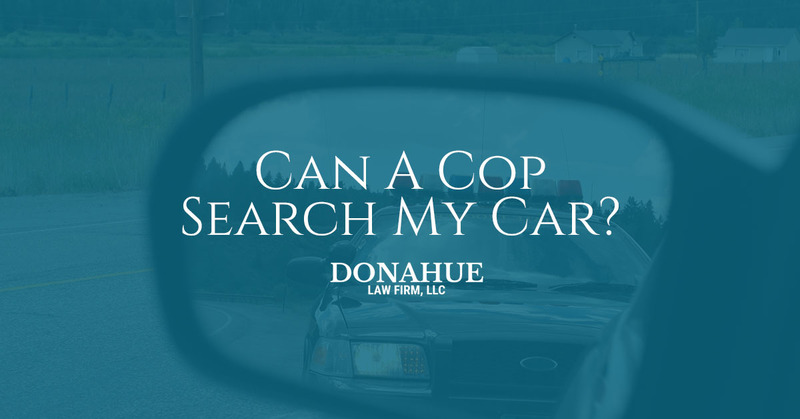 Criminal Defense Attorney Bend: Can A Cop Search My Car? Can A Cop Search My Car? When you see the cherries and berries flashing in your rearview mirror, it is important that you know what your rights are during a roadside stop. While being pulled over can feel like a stressful experience, it doesn’t have to be if you know what to expect. Make sure that you are ready to handle your next roadside stop with these tips about your rights when you’re pulled over. The worst thing you can do when you are pulled over is panic and say or do things that will incriminate you later. Understanding how to best handle a traffic stop will afford you the best chance later in court. Remember, any time you are facing the justice system, you should face it with the help of a professional. Finding a criminal defense attorney in Bend will ensure you have the best chance of winning your case. When you have questions about your rights during a traffic stop, talk to our team of criminal defense lawyers. We will work hard to ensure you understand the best course of action based on what happened when you were pulled over. One of the top questions most people have when a cop pulls them over is if they have to allow the cop to search their car. Here in the United States, your rights to privacy are protected under the Fourth Amendment. This protection is what ensures a cop cannot show up to your house and search the place without a warrant. When it comes to your house, the law is extremely cut and dry. However, when it comes to your car, things aren’t quite as clear. While a cop doesn’t need a warrant to search your car, they cannot search your car for no reason. They have the right to search through your vehicle only if they have probable cause to do so. Probable cause is less black and white than issuing a warrant to go through your home. A cop can declare probable cause based on the situation at hand. For example, if you were pulled over for running a stop sign and the cop sees that you have drug paraphernalia sitting out, they can use this as probable cause for searching the rest of your vehicle for drugs. While this example is fairly obvious, there are grey areas in which cops might determine they have probable cause for searching your vehicle, even when you disagree. If a cop doesn’t have probable cause, they cannot go through your vehicle without your consent. This is why many cops will ask the person they have pulled over if they will allow them to go through their car. If you do not want a cop to search your vehicle and they are asking for your permission, you have the right to deny them. Keep in mind that a cop might determine they have probable cause and search your vehicle anyway. In this case, it is important to have a criminal defense attorney who will fight aggressively for your rights when you go to trial. If you wind up in court and evidence was taken from your vehicle to be used against you, it is critical for your attorney to determine if the cop had probable cause or not when they searched the car. If you did not concede to a search and they did not actually have probable cause to back them up, the evidence they try to use in court can be considered inadmissible. How can you determine whether the officer who searched your car did so unjustly or not? Frankly, it is not a simple cut and dry situation. There are a variety of factors that can be used to try to defend your rights and to prove that the cop searched your car unreasonably. The best bet is to have a lawyer who works in criminal defense law take a look at your case and provide you with legal counsel. Keep it polite: No matter how much a cop is aggravating you, don’t allow yourself to get worked up. If you are rude or insubordinate to a cop, you can cause yourself more trouble. Make sure you remain polite and mind your manners during a roadside stop. Answer calmly: When a cop questions you, remain calm and answer everything as clearly as you can without getting emotionally worked up. The more you ramble and carry on, the better chance you have of saying something you will regret later. Keep your answers succinct and to the point. Contact a lawyer: If you are uncertain about what your rights are in a certain situation, let the officer know you would like to contact your lawyer. Have a criminal defense attorney on hand that you trust and seek their advice as soon as you possibly can. The earlier you have legal counsel on your side the better. If you are looking for a criminal defense attorney in Bend who can help you fight aggressively for your rights, contact the Donahue Law Firm. We work hard to ensure our clients have the information they need in order to have the best shot possible in the court of law. Contact us today to learn more about how we can help.